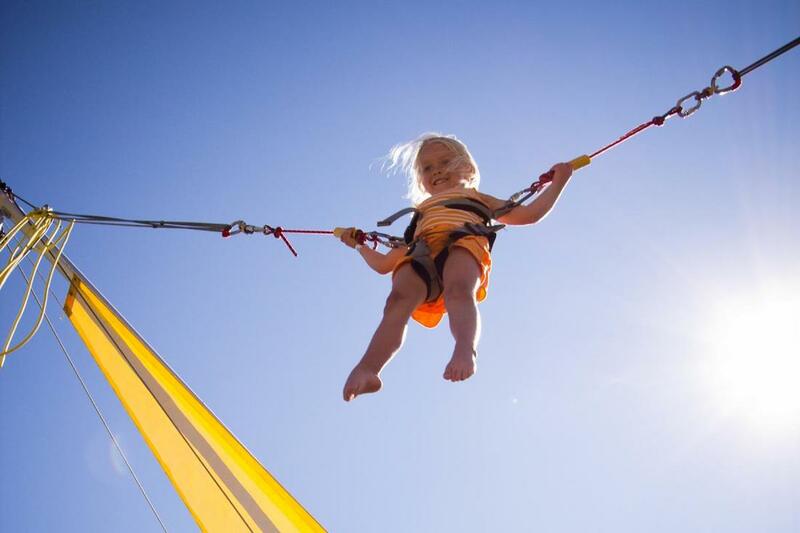 All activities, entertainment and events are included with your admission ticket! Unicorn Petting Corrals * Photos on Unicorn Backs * Wandering Unicorns * Mermaid Lagoon * Princess Photos * Guest Author Sheri Fink * Mad Hatter Tea Party * Cosplayers * Prince Charming * Belly Dancers * Princess Sing-Alongs * Sorting Ceremonies * Fairy Land Face Painters * Karaoke Kingdom * Fairy Tales * Food Trucks * Selfie Stations * Bubble Tower * Costumed Characters * Ice Cream * Lemonade * Arts & Crafts Creation Station * Sword Fights * Fairies * Bouncey Castles * More! ALL ACTIVITIES AND ENTERTAINMENT INCLUDED WITH ADMISSION TICKET! ​Visit with unicorns - ALL DAY! 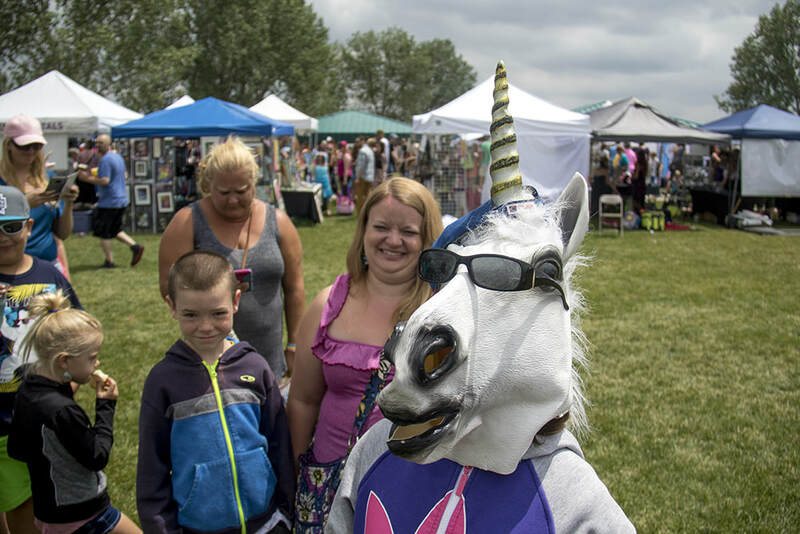 Unicorns are our main stars at the Unicorn Festival - and we have MORE THAN 20 OF THEM this year on the Festival Grounds! Meet them and take photos with them - all included with your Admission Ticket! 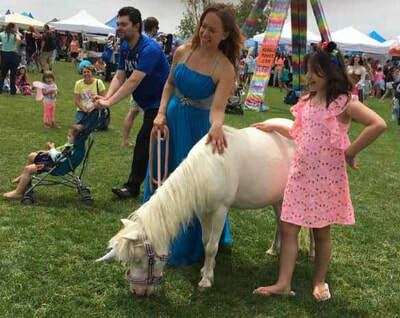 Visit the Unicorn Petting Corral, take photos with our wandering unicorns, or even get up on a unicorn's back for an awesome Unicorn Photo keepsake! All included with your admission ticket! 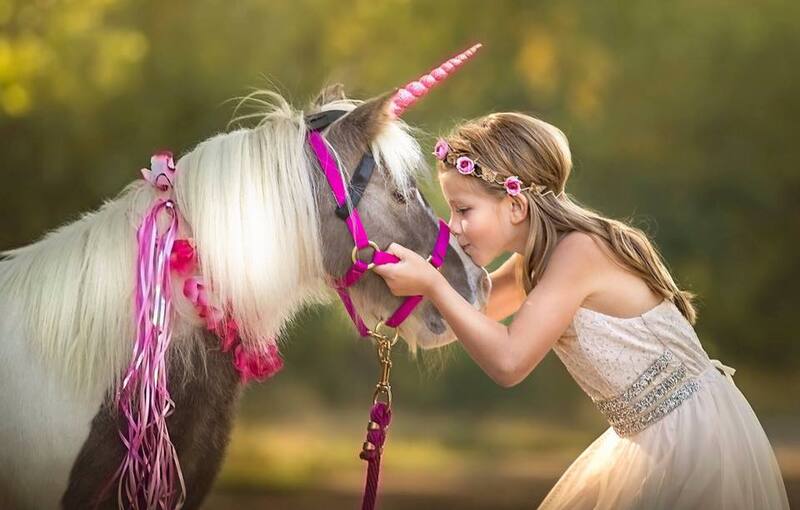 Photo courtesy Little Angels Pony and Pals, who will be hosting one of our our Unicorn Petting Corrals! Our Unicorn Petting Corals and Photo Stations, hosted by Little Angels Pony and Pals , Divine Pony Parties, Next Step Horse Rescue and Pony Parties, will feature nearly more than 20 unicorns - and some of their good friends... pygmy goats, a pig and a bunny! All included with admission! Meet our mermaids in their beautiful undersea kingdom! Mermaid Lagoon is an amazing walk-through art installation! Special Appearances by the Little Mermaid ALL DAY! Because this attraction is so popular, we'll have more shade and entertainment for those in line! We've added a new feature to Mermaid Lagoon this year, too! The undersea adventure continues in our new bounce/slide combo attraction! ALL INCLUDED WITH ADMISSION. WOW! We have a 66-ft Dragon Slide & Obstacle Course! Have fun sliding down his tongue - or take on the challenge of the Dragon Obstacle Course! Yes, he's 66 ft long! So, you can't miss this one! FREE WITH ADMISSION! enchanted CASTLE LABYRINTH & TOWER SLIDE! Can you find your way through the enchanted castle to the tower slide? The Enchanted Castle Maze is a high quality, creatively designed maze that people of all ages will love getting lost in! It’s a great opportunity for friends, families and couples to solve this challenge together. Encounter surprising corners, dead ends and magical scenery during your journey to find your way out of the castle and down the tower slide to become a maze master! Included with admission! PRINCESS PALACE! VISITING pRINCESSES all day! This year we'll have longer Princess visiting hours for the most popular princesses! 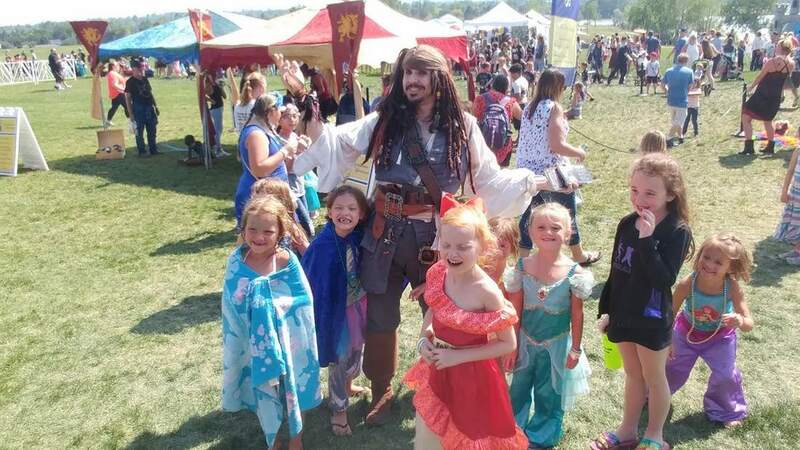 Visiting Princesses from Wands & Wishes will be at the Unicorn Festival all day, both days, hosting meet-and-greets, telling stories and leading sing-alongs of your favorite movie songs! We'll also have visiting princesses throughout the Festival grounds this year! Included with admission! Princess Palace will be easy to find ! Just look for the giant, 15-foot tall Princess castle next to it! Ariel, Cinderella, Tiana, Belle, Jasmine, Aurora, and Snow White all greet you as you enter this fun attraction, which features a slide and a spacious bounce house inside! Included with admission! Anna and Elsa will be at the Unicorn Festival ALL DAY SATURDAY, and at 2pm Sunday! 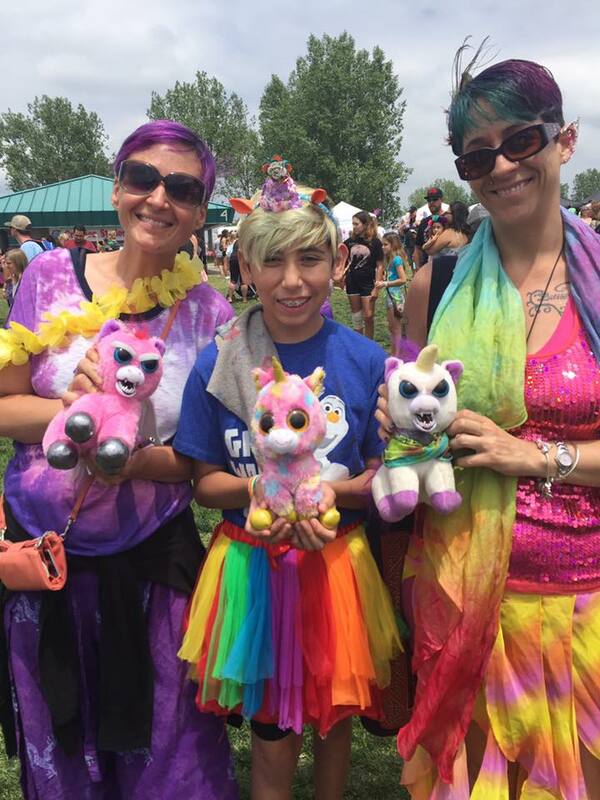 The magic of music is a powerful force at the Unicorn Festival! And we're letting everyone in on the fun at our newest attraction, Karaoke Kingdom! 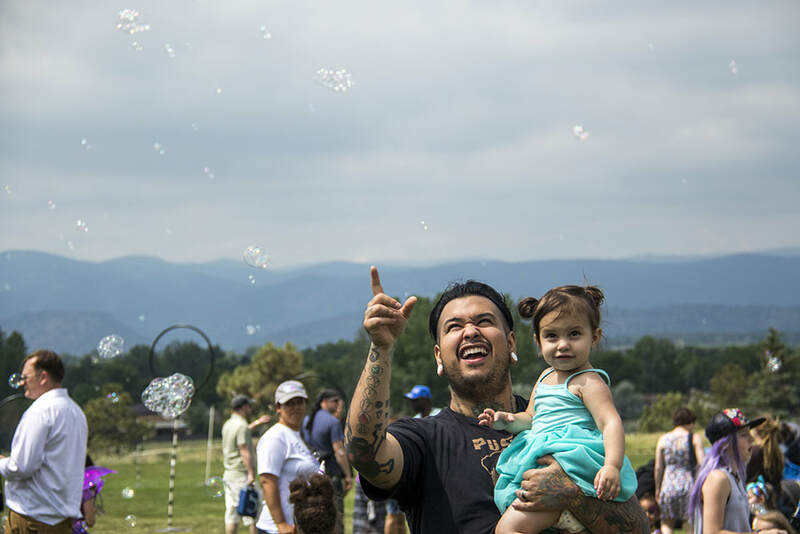 All day, both days, kids and adults alike can step up to the mic and fill the air with song! We'll have some great songs from your favorite movies, along with plenty of unicorn- and fantasy-themed songs, too. Don't be shy! The Unicorn Festival is everyone's time to SHINE! Included with admission. Tinkerbell, Pirates and peter pan! This year, one of our brand new attractions celebrates the rascals of the high seas and the characters of Neverland! 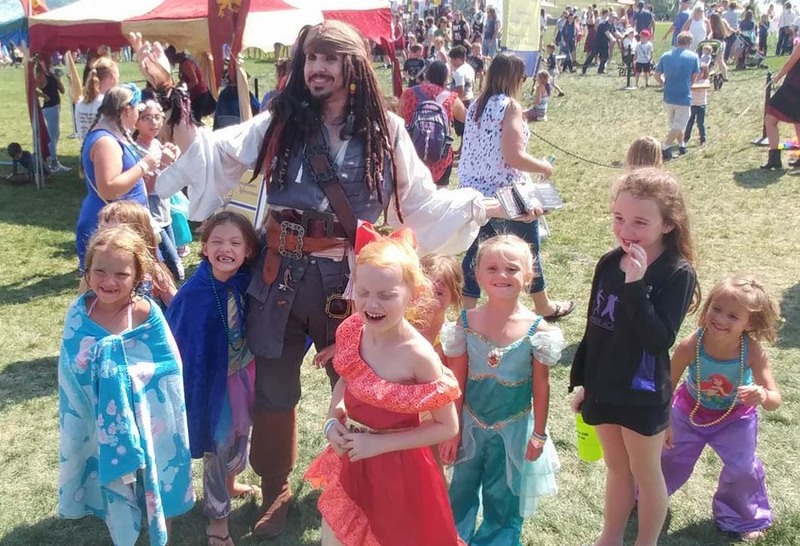 Don't miss our HUGE walk through Jolly Roger Pirate Ship experience - with special appearances by Peter Pan and Tinkerbell (courtesy of Wands and Wishes) from 1:00 - 4:00! And, once again, everyone's favorite Pirate Captain - Jack Sparrow - will join us - courtesy of Northglenn Pirate Fest! ALL FREE WITH ADMISSION! we have a Mini-pegasus ! We have a new special guest this year! A black mini-Pegasus, visiting us courtesy of Next Step Horse Rescue! Don't miss our cutest. guest. EVER! The perfect photo opp! And be sure to support Next Step Horse Rescue! Relive the olden times ... when unicorns roamed the fields, it was still legal to slay dragons and good strong kids could become valiant knights! Foam sword fights take you back there! Challenge your family and friends to an exciting battle using safe foam swords! 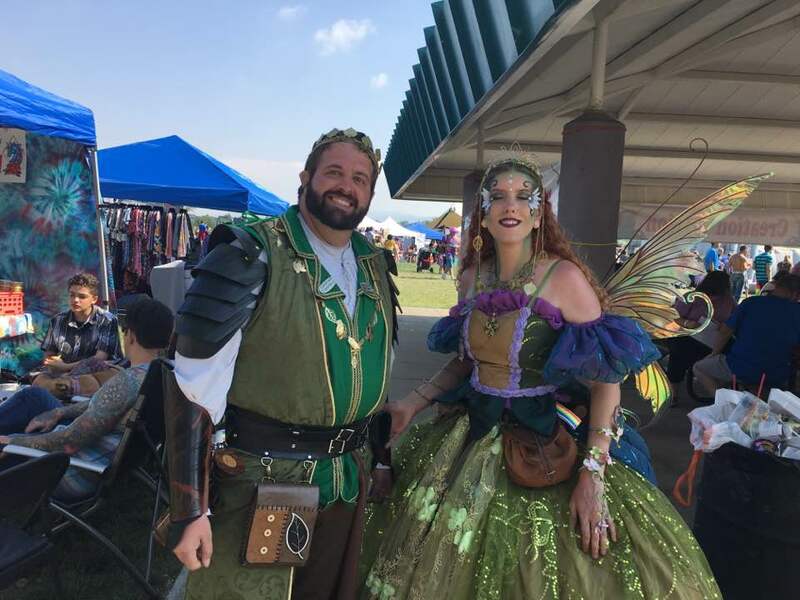 Join the costumed knights of Renaissance Adventures in this free and fun activity for the whole family, and learn about upcoming camps, programs, and events in which kids age 6-17 get to play the heroes of a mythic quest. Included with admission! 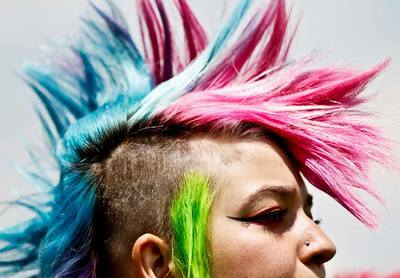 This year we'll have plenty of Face Painters - spread around the festival - and all dressed as fairies! Thanks to All About Faeries for hosting our Fairy Land Face Painters! 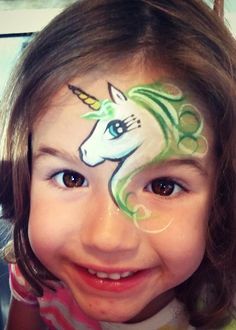 Face painting is FREE with admission ... We have several complimentary designs to choose from... or you can spend a little for a custom design or something super special! You Never know who you'll meet! Prince Charming may ask you to try on the glass slipper! Jack Sparrow may steal your heart! And you might even meet an Alicorn! 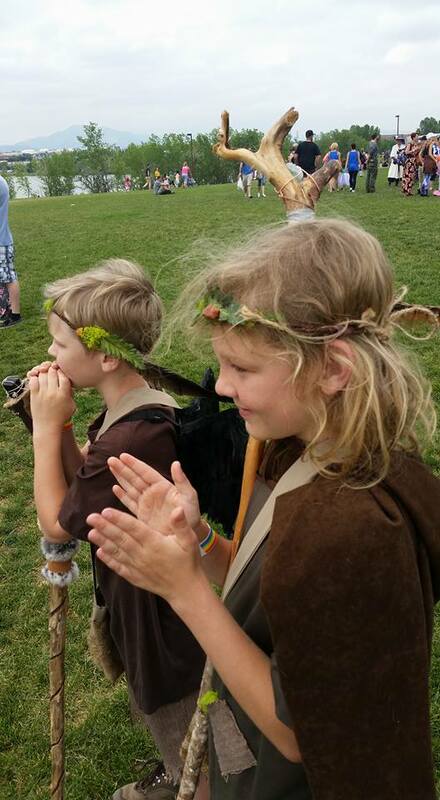 We have so many wandering characters and mythical creatures this year! Come meet them all! Included with admission. Creation Station is one of our most popular stops at the Unicorn Festival! Head crafty creator Carol Angel works all year to come up with MORE new wonders for you to create and take home! 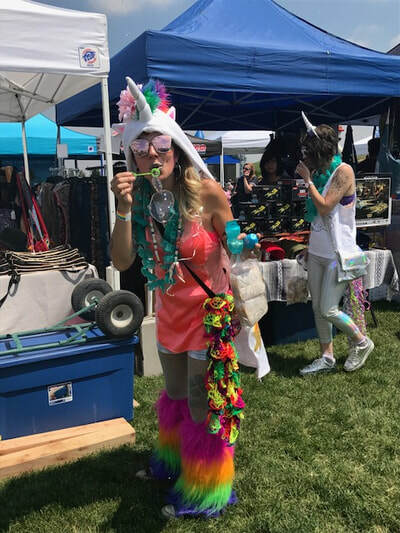 Sit in the shade and make your own unicorn horn to wear at the Festival! Make a magic wand or a wizard's staff! We'll have more craft and art supplies than ever - so the sky is the limit! Included with admission! The Unicorn Festival is Cosplay Central June 22 - 23! 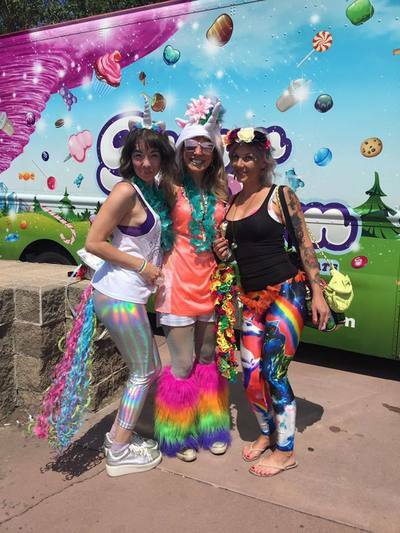 Dress up as your favorite fantastical, mythical creature or character to add to the fun! COSTUME CONTEST is at 2:00 PM each day on our Main Stage! To enter, just come to the Main Stage 15 minutes early! Grand Prize - $200 cash! Best in Category prizes - $20 in ImagiCash - good at any booth at the Festival! 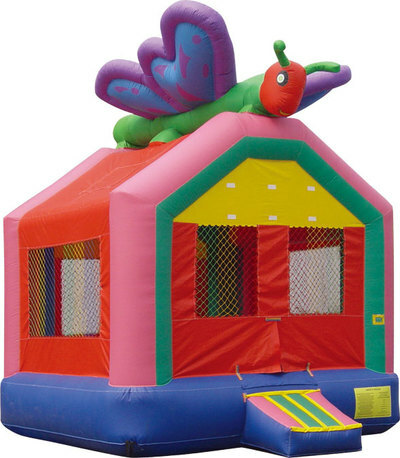 This year we have LOTS of bounce houses, and we have some FUN ones, too! 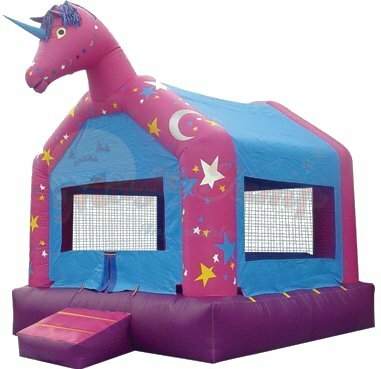 Come jump for joy in our Unicorn Bounce House, Butterfly Bounce House, Lancelot Jumping Castle and our Flower Power Jumping Castle! 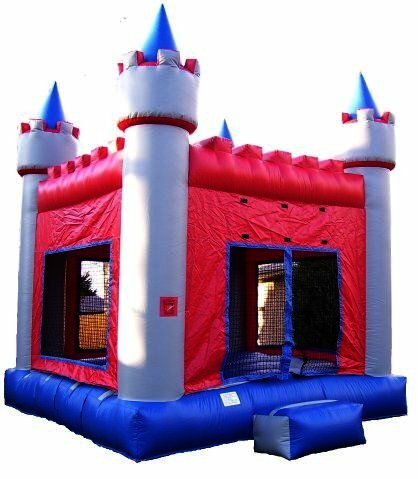 Plus - You can't miss the Disney Princess Bounce House / Slide combo by Princess Palace! INCLUDED WITH ADMISSION! What kind of wizard are you anyway? Come find out! We're hosting Sorting Ceremonies all day long - in a special Sorting Ceremony tent! Come find out where you're supposed to be! Included with Admission! Drag Queen Story Time was a big hit last year! 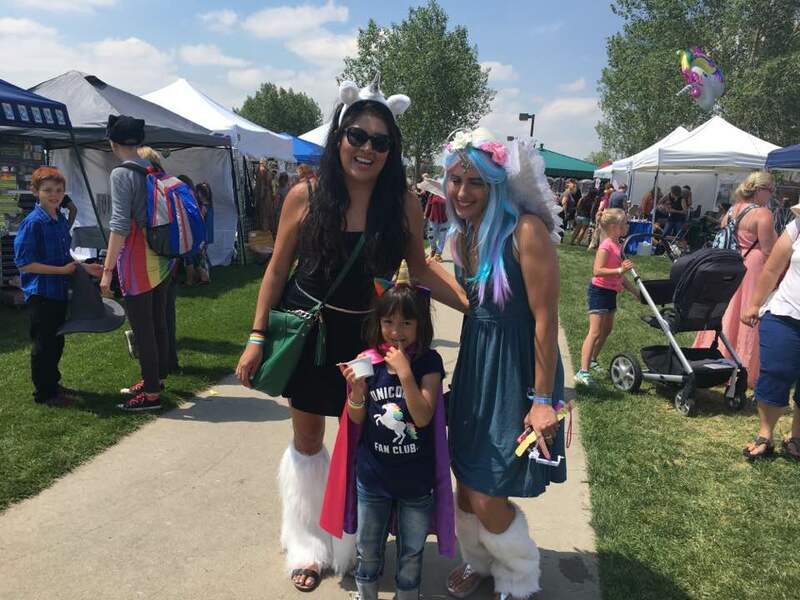 Our newest area at the Unicorn Festival is Storytime Cottage! Nestled under a park shelter with plenty of shade, it's the perfect spot to let authors and readers transport you to a magical world through BOOKS! We'll have authors reading their stories, and we'll have Princesses and characters telling their stories, too! Our Storytime Cottage schedule of authors and readings will be posted in the spring! Our Drag Queen Story Time was so popular last year, that we'll have one queen in the morning, and one in the afternoon - each day - this year! Storytime Cottage activities included with admission! Mythic Games hosts our free gaming tent! Black Gold, Littleton's fantasy gaming store, is changing their name to Mythic Games! And they are back, joining us with a new gaming lineup geared toward younger gamers and shorter play times! Stop by the Mythic Games gaming tent to play Kitty Paw, Slap It, Spot It, Flux, Happy Salmon and more! Stock up on fantasy gaming supplies while you're there, too! All games open to the public - included with admission! 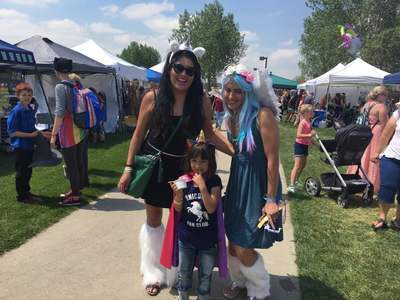 The fine folks from Bricks & Minifigs (located in Bowles Marketplace just across Wadsworth) are hosting a LEGO PLAY AREA for all Unicorn Festival attendees! You can also see some amazing Fantasy Lego builds - like this Dragon cave! And pick up building sets and supplies while you're there! Lego Play included with admission! Belly Dancers & more at the agrabah bazaar! Revel in the magical, mystical middle east at one of our new attractions this year - the Agrabah Bazaar! Agrabah was the city where Aladdin was from! Located near the popular Oracle Oasis, this large tent will host belly dance performances, special guest appearances by Princess Jasmine, henna art and more. There will be plenty of interactive events, too - so get up there and try out a dance or two. It will be an entertainment hub for several mystical vendors, too! All performances and guest appearances are included with admission! Special Appearance by Princess Jasmine, 1:00 - 4:00 each day! Unicorn people need FUEL for our full weekend of fun! Our Banquet Hall area has plenty of shaded seating and loads of awesome options to keep you going! 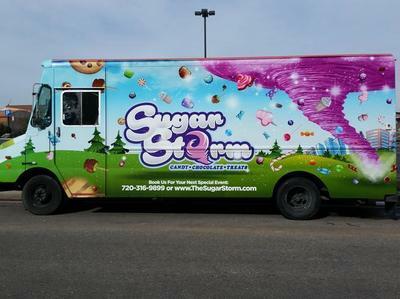 Get ready to feast on a great variety of meals, snacks, sweets and non-alcoholic drinks! Ice Cream, Lemonade, snow cones... burgers, mac n cheese, hot dogs, pizza, tacos, Asian food, vegetarian food, Vegan food - We have it all! 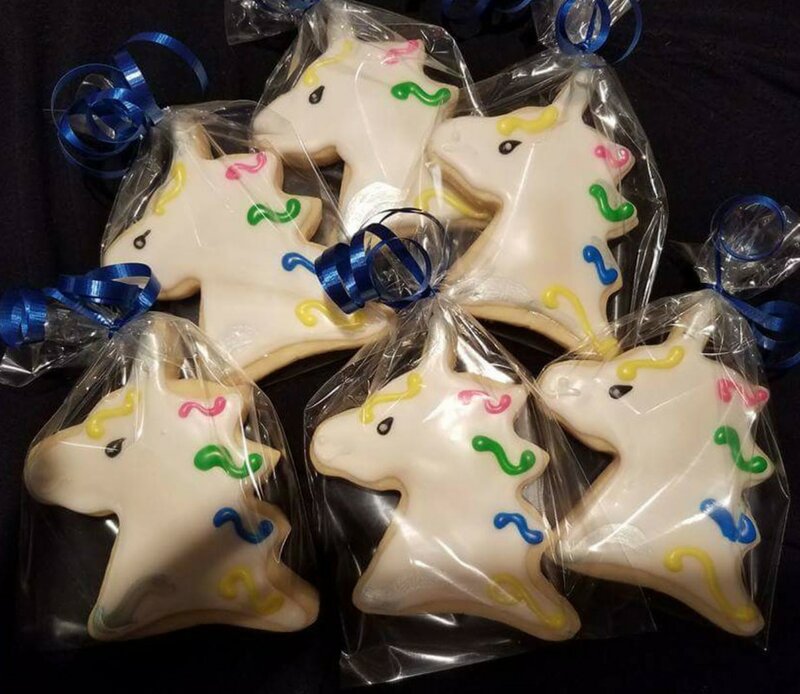 And YES, we have unicorn cookies, unicorn coffees, unicorn cupcakes and unicorn ... everything!!!! Water, Water EVERYWHERE! This year, we are supplying MORE WATER ... in LOTS of locations! Look for free water-bottle fill stations throughout the fair, and all vendors are now allowed to supply and sell bottled water and soft drinks! Olive Garden - Volunteer Meal Sponsor! Sparkling Ice - Glittery Gold Sponsor! Visit their big 20 x 20 booth for a free sample bottle of Sparkling ice! 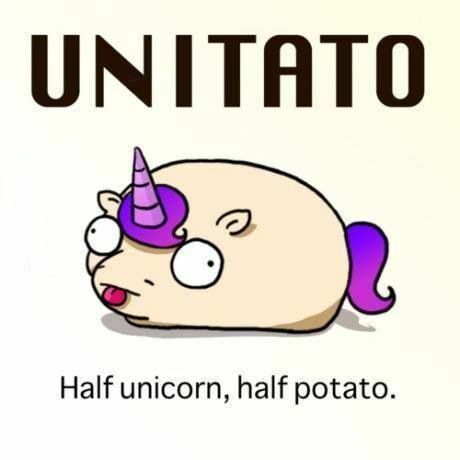 ... okay, maybe we're kidding about the unitato ... but... you never know! Our amazing BUBBLE TOWER will be back, along with more NEW attractions - including - ​TWO BUNGEE TRAMPOLINES! It's like flying! Both included with admission! 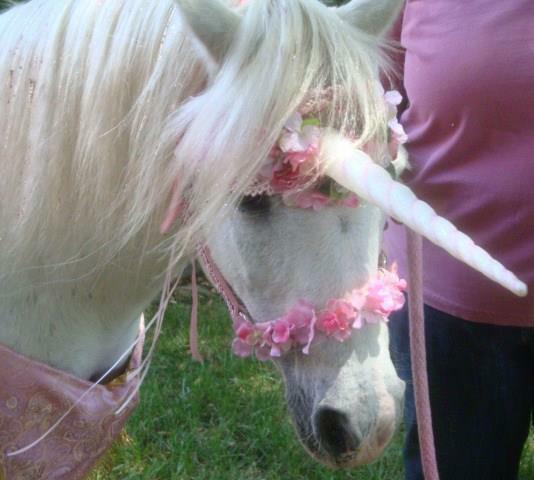 You can also build your own UNICORN CANDLE ($7). There is so much to do!